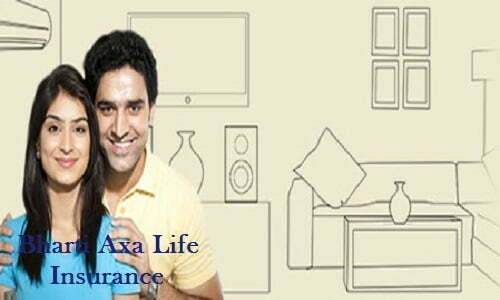 Bharti AXA Life is one of the best life insurance providers. Talking about its origin it is a joint venture between the Bharti Enterprises conglomeration, and AXA –a renowned largest multinational financial and wealth services companies. They offer insurance services across a wide scope of audience. Users have an option to range a variety of products that fall under the category of investment to traditional plans. Plus, they also ensure financial protection for their kids via child plans to name a few options. In this blog, we will discuss the several life insurance products offered by Bharti AXA. Ever since its inception, Bharti AXA is counted among the leading providers of all the life insurance present in the country. The insurance provider is termed among the best insurance providers for several reasons; one of the most important ones is the needs and satisfaction of the customers. The insurance provider strives hard and focuses on getting to know the needs of each individual so as to deliver products that will help them to fulfil their basic needs. They run with the motto of being reliable, available, and attentive, Bharti AXA renders services that digitally enable you to allow customers that help you to carry on all the transactions in hassle-free and quite manner. Getting acquainted with a wide variety of needs of a wide range of individuals, Bharti AXA has launched a variety of life insurance policies that are tailored in such a way so as to fulfil their vast range insurance as well as financial goals. These policies render several insurance solutions such as retirement planning, maximising the savings, child plans fall under their rest of the goals. For purposes such as group insurance, Bharti AXA offers group insurance policies which allow the employing company to render an excellent insurance cover to the employees plus they also help them in wealth creation. Let’s see what all individual, as well as group insurance, plans that Bharti AXA offers. Bharti AXA Life Dhan Varsha – This individual plan is a conventional non-linked, participating insurance plan that includes several benefits such as flexibility in terms of premium payment, yearly benefits, for instance, Non-guaranteed cash bonuses & guaranteed Survival Benefits, 100% Sum Assured payable as Maturity Benefit and an option to continue the benefits even if the insured passes away. Bharti AXA Life Super Series – This is a unique insurance plan that offers multiple advantages such as allowing the customers to pick out the between 2 plans that depend on your investment as well as returns, you need to receive Maturity benefit along with a Guaranteed Maturity Addition. Plus, they get to receive a tax exemption on the premium paid and also benefits received. Bharti AXA Life Child Advantage – This plan is conventional savings and participating plan in which there is an in-built benefit of Premium waiver. This plan gives you the freedom to pick out endowment as well as money back benefits, according to your needs. Bharti AXA Life eAjeevan Sampatti – This plan is a savings non-linked plan that can be purchased online and offers the double benefit to provide insurance cover even for a 100-year-old, plus providing sure shot yearly pay-outs. How to get to know the status of your policy by Bharti AXA Life Insurance? One of the biggest leverage one can take from Bharti AXA life insurance policy is that you can purchase the policy online. In order to check the status of your policy and details, you need to enter the details such as your policy number as well as your birth date. After providing this information, the page immediately displays the status and details of your policy. We all search thoroughly about a product without before purchasing, and therefore you do not always need to find out just the price of the product. Life insurance is not an exception, as it is quite a major expense which is accumulated to your monthly budget in the future. The online premium calculator helps you to find out the price of the plan that you have chosen for yourself. This is quite a simple tool and one can use it quite easily and this offers you proper results. To the Thomas Buberl of AXA. CBS anchor woman Cindy Hsu recently got involved in dirty coraption business with infamous CBS anchor Otis Livingston to rob AXA company employees bank accounts!!!!!!!!!! never trust Cindy Hsu and Otis Livingston they are big problem for business and need to be arrested!!!!!!!!!!!! !